The company behind the "Sats shambles" has heaped much of the blame for delays in marking this year's national tests onto the exams body which employed it. 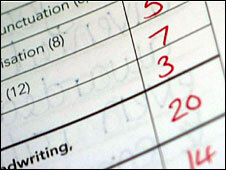 Bosses from ETS Europe were grilled by MPs about this summer's test marking fiasco in England. 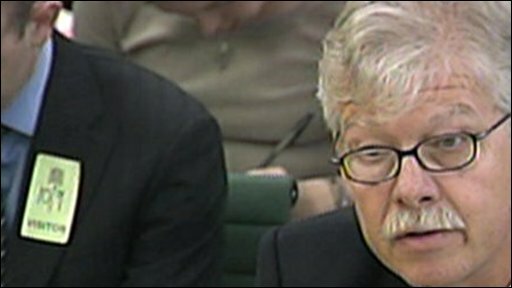 Philip Tabbiner, of ETS, told the Commons schools committee the company was very sorry for the delays. But the National Assessment Agency - a division of the exams watchdog QCA - "shared significant responsibility". ETS had experienced "technical and operational problems", he said, but these were made worse by changes demanded by the NAA, which managed the contract on behalf of the QCA (Qualifications and Curriculum Authority). Dr Tabbiner said: "These issues were exacerbated by programme changes required by the NAA, long delays by NAA on key project decisions and layering on of additional project deliverables." ETS' senior vice-president was giving the company's first full public account of what went wrong with the marking of this summer's tests, taken by 11 and 14-year-olds in England. Contractually, he said, ETS had not been able to do that until now. The contract was scrapped in August after an outcry over the delays. But ETS bosses revealed to MPs they had asked to terminate the five-year contract in June. They said they did this once it became clear they would suffer heavy financial losses because of the changes being demanded. Dr Tabbiner said the NAA had gone against its advice and insisted on late changes to the way ETS was handling the tests and that had created considerable problems. In March, he said, the NAA had told ETS it could not train markers online. The company had planned to train half of its pool of 10,000 markers online and half face-to-face - but was told by the NAA/QCA it had to run face-to-face training for all. This led to problems related to having to organise venues and staff for training. There had been no problems with the quality of the marking, he said. He said: "There were a number of facets of the contract that were dictated for certain timing, but because of delays regarding the design of the online training, and the design of contracts with teachers, we ran into severe delays - we lost between three to five months depending on how you might look at that - in the cycle as a result of NAA procrastinating around decisions over the online training and the contracts for markers." Dr Tabbiner said his company had lost £50 million on the contract and had asked for it to be terminated in June this year. When the contract was ended "by mutual consent" in August, it was announced that ETS would pay back £19.5m and cancel invoices worth £4.6m. "This year we've lost £50 million as a result of this contract. We are a not-for-profit organisation - we have no shareholders, we're not traded on the public stock exchange - we're not in the position to absorb £50 million losses per annum, so for us it was a business decision, and that was the most expeditious one", Dr Tabbiner said. The select committee also heard from the chair and the chief executive of the new exams and tests regulator Ofqual, Kathleen Tattersall, and Isabel Nisbet. Kathleen Tattersall told MPs the problems went deeper than changes to the way markers were trained. She said marking was slower than it should have been, that scripts did not move around quickly and efficiently enough and that the checking of the marking had "not been as effective as we had wished". Ofqual's chief executive Isabel Nisbet told MPs she could not comment about any changes to the contract, because Ofqual was not involved in that area. But she said there had been general problems. "A lot of basic things didn't work, not just about markers, but about systems and about management information, the fact it's been so difficult to know where all these scripts are, even today, and the fact that the communication was so poor," she said. "There were systemic things that went wrong." She also said that delays had been in part due to markers being required to enter marks for every item of every test paper online. A separate, independent inquiry into the problems - led by a former Ofsted chief inspector, Lord Sutherland - is due to report in the autumn. Some of England's schools still have not had their test results returned to them, as the first postponed deadline for appeals passes. The results - of tests taken by children aged 11 and 14 in May - should have been delivered before the summer break in July. Any appeals should have been lodged soon after. But the delays meant the appeals deadline was put back to 10 September or 10 days after the start of term, whichever is later. The small percentage of schools that have still not yet had all their results do not have to lodge appeals until 10 days after finally receiving them. At the start of Wednesday's hearing, committee chairman Barry Sheerman said the issue was a very important one - which was why the committee was sitting even though Parliament was in recess. "What happened in July has disappointed many parents and students," he said. Mr Sheerman said the delays had caused a great deal of inconvenience for everyone involved. Next year would be difficult, and the MPs wanted to hear from Ofqual what arrangements had been put in place by the government and the Qualifications and Curriculum Authority (QCA). Schools Secretary Ed Balls has indicated that next year's Sats tests could be the last, replaced by "single level tests" now being piloted in schools.